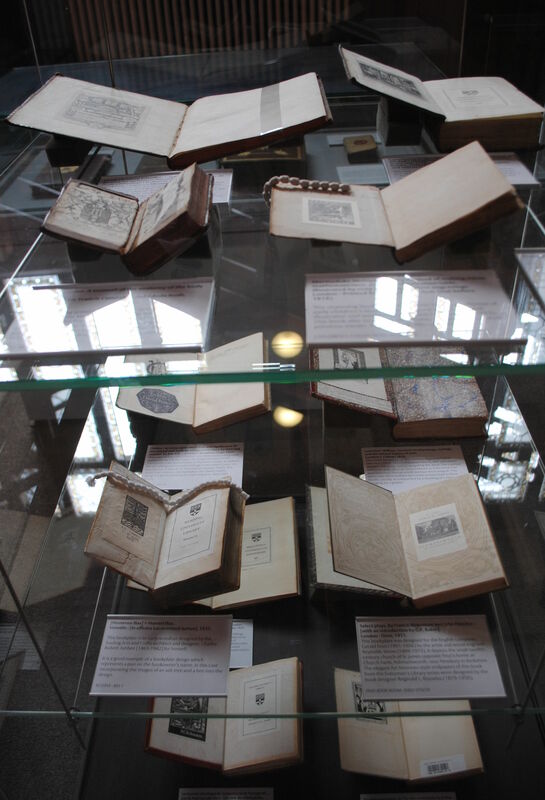 A new exhibition opened earlier this week at the Special Collections Service. It is called ‘Ex Libris: marks of ownership in rare books from the University of Reading Special Collections’, and explores the variety of different ways in which readers from the sixteenth to the twentieth century have indicated ownership of their books including bookplates, armorial bindings, inscriptions, annotations and marginalia. 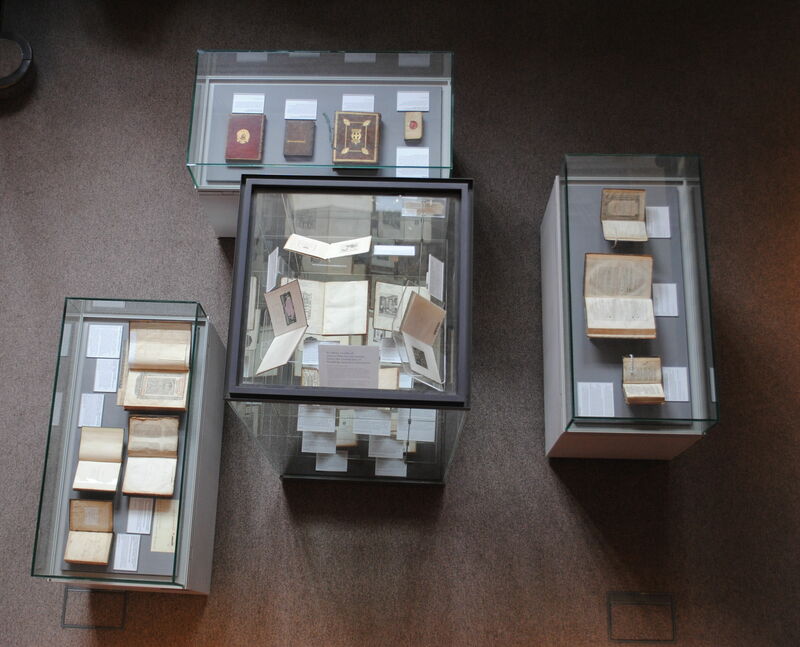 The exhibition is on display until 1 July 2016. 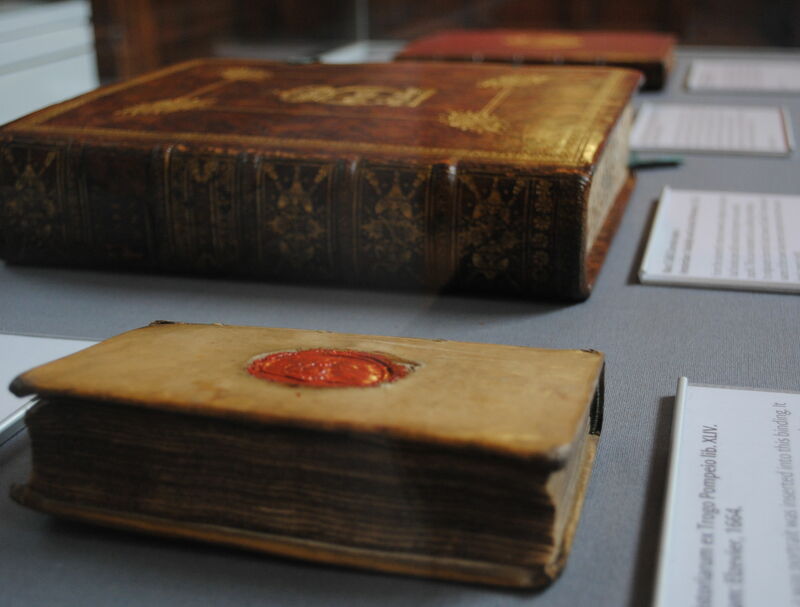 In the context of the exhibition, two talks will be taking place at the Special Collections Service next term on topics relating to book ownership and provenance. All are welcome to attend. Please email merlevents@reading.ac.uk to book a place. ‘For the better Prosecution of their Studies’: parochial libraries in the long eighteenth century. Four collections of early printed books held at the University of Reading Special Collections are labelled ‘parochial libraries’. As they vary enormously, in size as well as in the language, place and date of publication, and subject matter of the books, can they even be grouped together? In this talk, PhD student Maria Franchini will explore the nature of the parochial library. 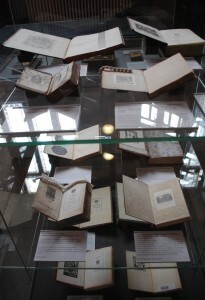 The talk will be accompanied by a display of early printed books from the parochial libraries collections. In this talk, which accompanies the Ex Libris exhibition, Dr. Paddy Bullard explores how books from the University of Reading collections reveal their past lives as objects of private devotion and possession, as tokens of exchange between families, lovers or friends, and as valued goods within communities or institutions. The talk will be followed by an opportunity to view the exhibition. This entry was posted in Department of English Literature news and events and tagged Department of English, Department of English Literature, Dr Paddy Bullard, English Department, English Literature, Maria Franchini, MERL, Museum of English Rural Life, Reading, University of Reading, University Special Collections. Bookmark the permalink.